With my front yard only 25″ wide and my neighbour’s house surrounded in scaffolding; I was not able to set up shop in front of the house. Fortunately my friend Patrice ha been bitten by the same bug as me and has offered up the slab in his back yard to build a shed. We live 5 blocks apart so it is close, but also far enough that when I’m working on the boat I won’t have the usual family distractions and I’ll be able hopefully to do several solid hours of work at a time. Today it was a late start at three pm but I had bought all the lumber two weeks ago so progress was quick. 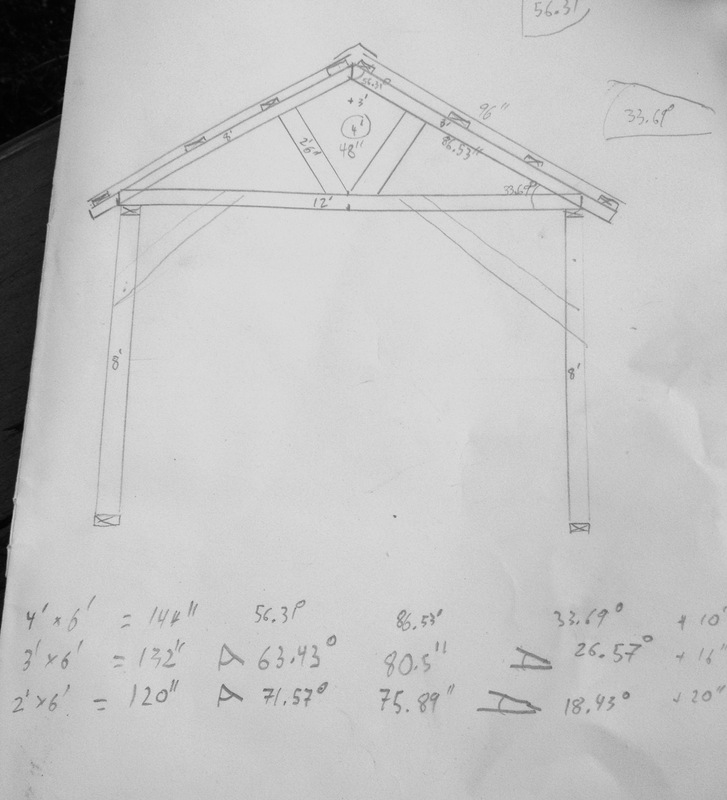 In two hours I got all the trusses done as well as two of the four ten foot walls. Originally i though about using a metal framed tarp shelter which would have been much faster but may not have fit well due to a few issues with the site and the tarp sheds are less flexible than building your own.